After-hours event in the library's Main Hall. Science Night is an evening of fun and exploration aimed at adults, teens and elementary school-aged children alike! 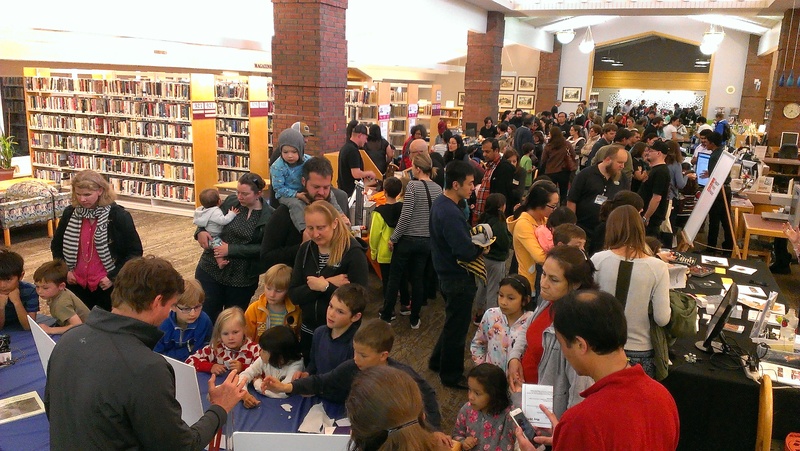 Join the us for Science Night, featuring fun and fascination with activities and exhibits. Ponder with SETI Institute and NASA on the topic of "Looking for ET: Where, How and What Might We Find?" More surprises are in the works for this special event funded in part by the Friends of the Menlo Park Library.